The TC-1S from Tascam is a compact, solar-rechargeable tuner that can also be recharged via a USB port for the times when the sun is not shining. The tuner can resolve with one-cent accuracy and has both a built-in microphone, and an input for a microphone or electronic instrument. The unit responds very quickly to input and displays the results on a wide bar graph display for instant feedback. Four display modes are available, including strobe tuning animation. The tuner can be calibrated to an external source such as a piano or other hard-to-tune instrument. A shock-proof silicone cover keeps the unit protected, while a nylon strap and clip allows you to attach it to your guitar or bass gig bag. 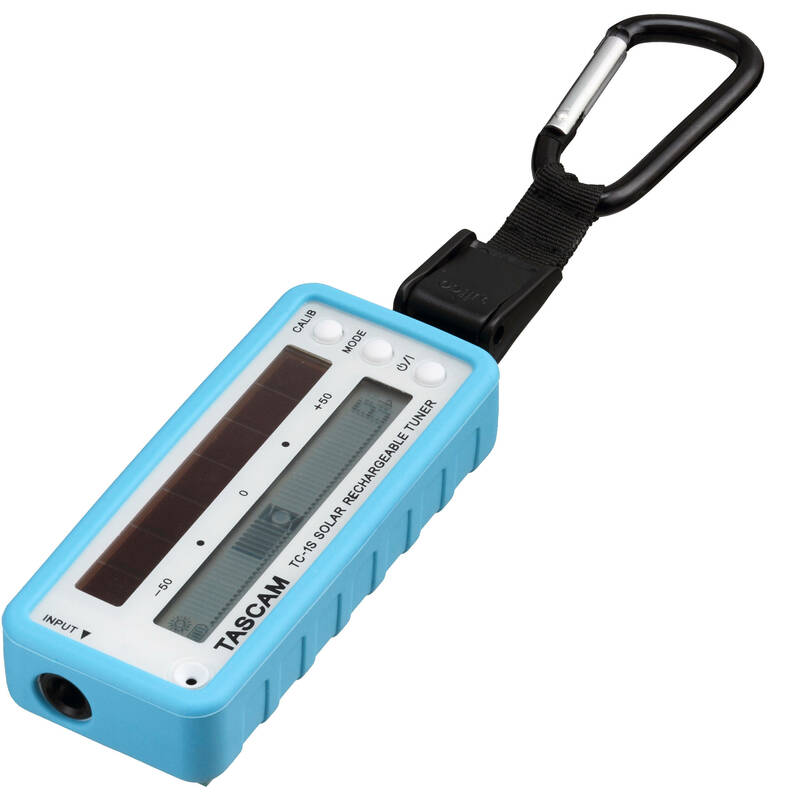 Box Dimensions (LxWxH) 7.1 x 2.0 x 1.1"
TC-1S - Solar Rechargeable Instrument Tuner (Blue) is rated 5.0 out of 5 by 1. Rated 5 out of 5 by Flying tuba from Going Green with Solar Power This solar tuner is replacing my Boss TU-12H Chromatic tuner that I have been using for decades. I can tune my cello or bass guitar with it. It takes up less room in my gig bag.